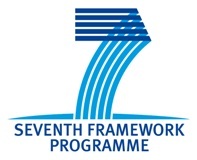 HSC researchers seeking funding for collaborative projects will be aware of the substantial opportunities presented by the Seventh Framework Programme for Research and Technological Development (FP7) (see here). Enterprise Europe NI is offering an FP7 Awareness and Proposal Writing Workshop in Templepatrick on the morning of 7th March 2012. Further details and a booking form are available on the Enterprise Europe NI website at www.enterpriseeuropeni.com/inx/events/register.asp?eventid=265.